Recently I came across a strange issue. 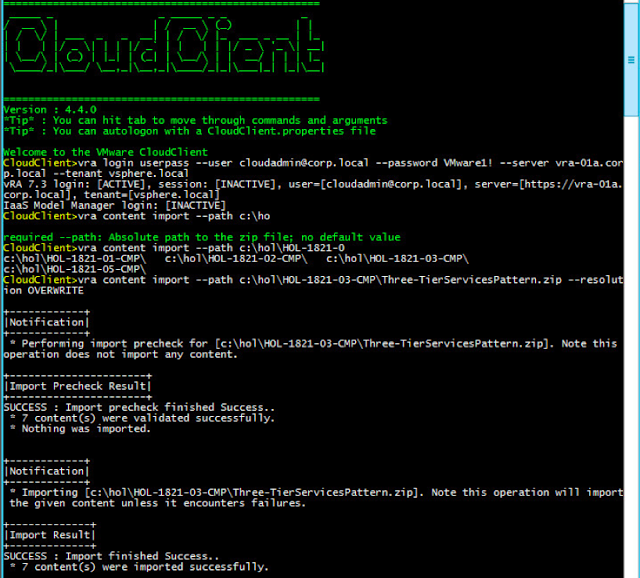 While trying to login to web client interface, suddenly started getting below error when clicked Login to web client and also in the vCloud Director interface. I tried several times, however it was the same error. 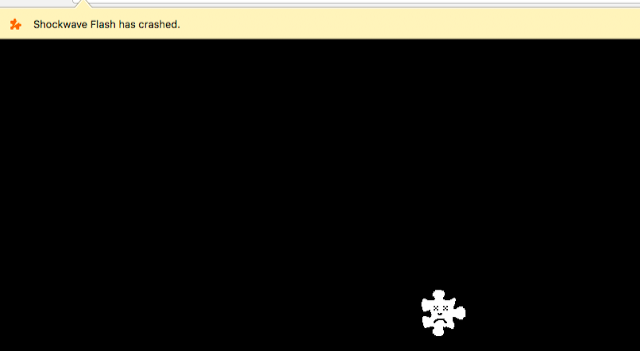 Login page gets loaded however once clicked login, you get the Shockwave flash crash issue. Fortunately when Searched, I came across announcement from adobe for Adobe flash player 27 Beta release. You can get this plugin at below link for download. After updating plugin on my MAC system issue was fixed as in screenshot below. Currently this flash player update is in beta so check your policies for production use. It is available for major platforms like windows, Linux and MAC. Note: VCA Exams are not mandatory to pursue any further certification as they are optional. However, vSphere Foundation exam is mandatory for all VCP certifications. NVM Express (NVMe) or Non-Volatile Memory Host Controller Interface (NVMHCI) is a logical device interface specification for accessing non-volatile storage media attached via a PCI Express (PCIe) bus in real and virtual hardware. The acronym NVM stands for non-volatile memory, commonly flash memory that comes in the form of solid-state drives (SSDs). NVM Express, as a logical device interface, has been designed from the ground up to capitalise on the low latency and internal parallelism of flash-based storage devices, mirroring the parallelism of contemporary CPUs, platforms and applications. NVM Express allows host hardware and software to fully exploit the possible parallelism in modern SSDs. As a result, NVM Express reduces I/O overhead and brings various performance improvements in comparison to previous logical-device interfaces, including multiple, long command queues, and reduced latency. NVM Express (NVMe) controller is available with ESXi 6.5 and Hardware Version 13. With Hardware Version 13, you can use NVMe, SATA, SCSI, and IDE controllers in a virtual machine. Virtual NVMe Device has lower IO overhead and scalable IO for all-flash SAN/vSAN storages. Hardware NVMe SSDs has significant advantage over old SATA/SAS based Flash devices. The main benefit of NVMe interface over SCSI is that it reduces the amount of overhead, and so consumes fewer CPU cycles. Also, there is a reduction of IO latency for your VMs. 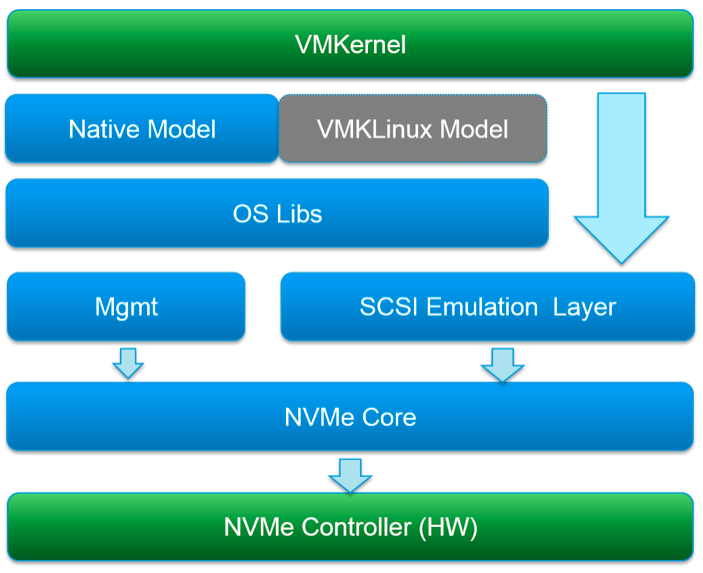 Each virtual machine can support 4 NVMe controllers and up to 15 devices per controller. OS Libs: Provide OS related resource, such as heap, lock, interrupt. Not all operating systems are supported with vNVMe. Make sure that your OS is supported and also verify that the guest OS has a driver installed to use the NVMe controller. With vRealize Operations Federation Management Pack you can unify your multi-site vRealize Operations Manager deployment into a single pane of glass. You can instantiate a deployment of vRealize Operations Manager with the capability of receiving key metrics for specified objects from other vRealize Operations Manager deployments in your environment. Provide a summary of performance, capacity, and configuration to Senior Executives and Virtual Infrastructure Administrators across all your vSphere environments. 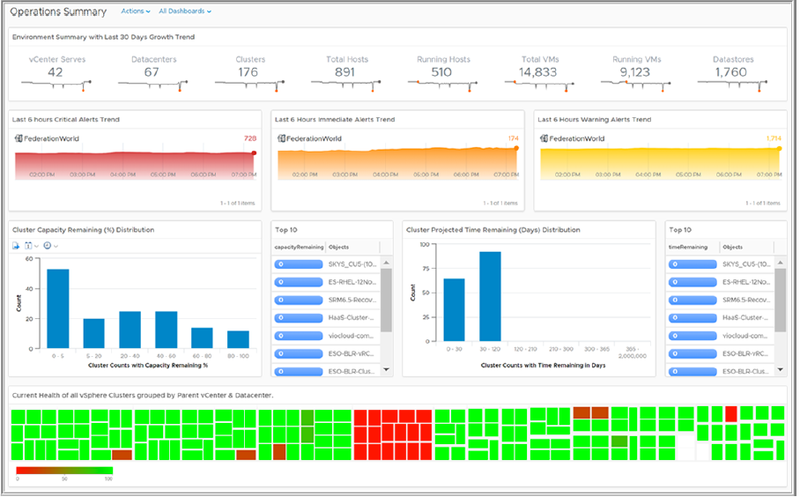 Provide a unified view of events triggered across the virtual environments into a single pane for making it easier for NOC or Helpdesk to initiate action. Ability to create a data warehouse where user selected set of metrics can be stored for data archiving and report use cases. Ability to provide summarized views of health and configuration of your Software Defined data center stack. This includes core applications such as VMware vCenter Server, VMware NSX, and VMware vSAN. The solution also covers the management applications such as vRealize Operations Manager, vRealize Log Insight, vRealize Automation, vRealize Business, and VMware Site Recovery Manager. The vRealize Operations Federation Management Pack requires a dedicated instance of vRealize Operations Manager on which this solution is installed. The dedicated instance applies the management pack to communicate to your other vRealize Operations Manager instances in your environment to collect key metrics. 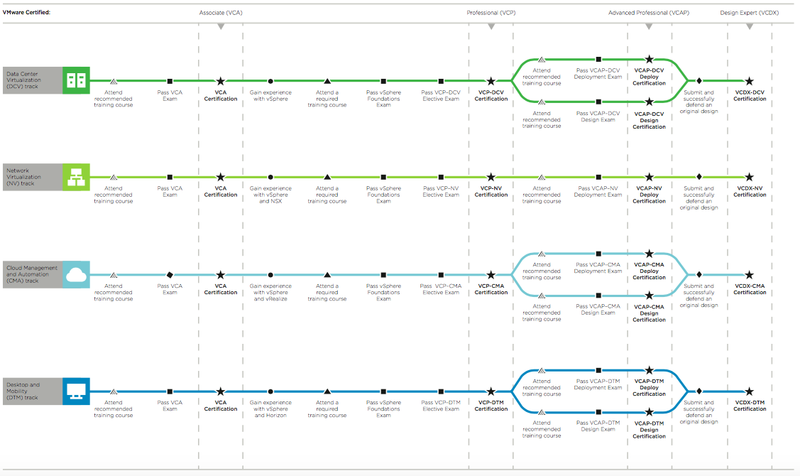 vRealize Operation Manager 6.6 and 6.6.1 version. 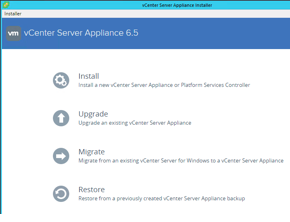 In the new installer for vCenter 6.5, you get one option for migrating vCenter Server for Windows instance to a vCenter Server Appliance instance as shown in image below. 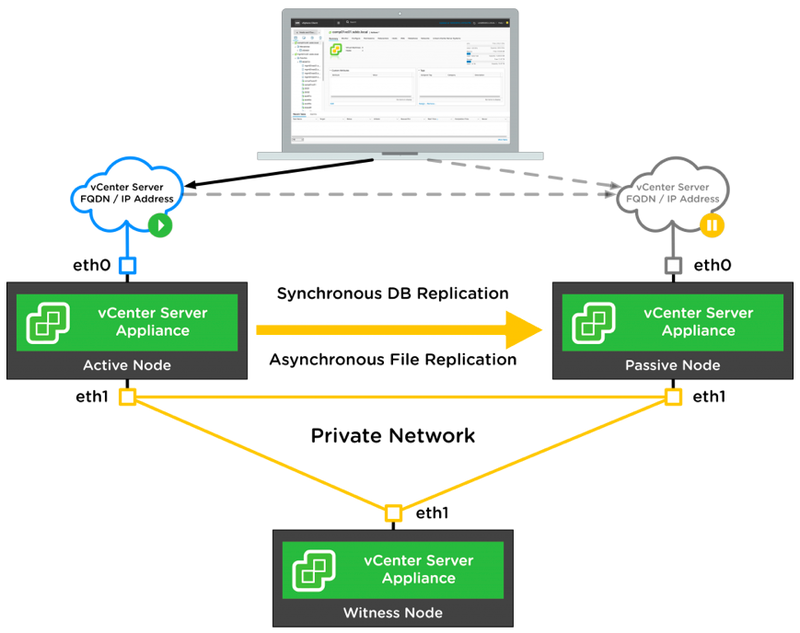 You can migrate a vCenter Server version 5.5 or version 6.0 instance on Windows to a vCenter Server Appliance 6.5 deployment on a Linux-based OS (OS name is Photon 1.0). 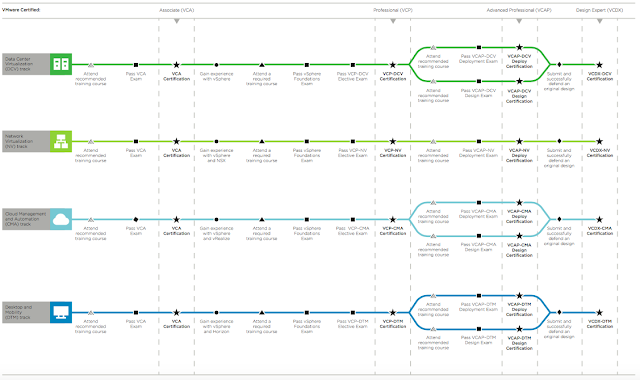 The vCenter Server migration paths demonstrate supported migration outcomes. You can migrate a vCenter Server instance with an embedded vCenter Single Sign-On (version 5.5) to a vCenter Server Appliance 6.5 instance with an embedded Platform Services Controller appliance. 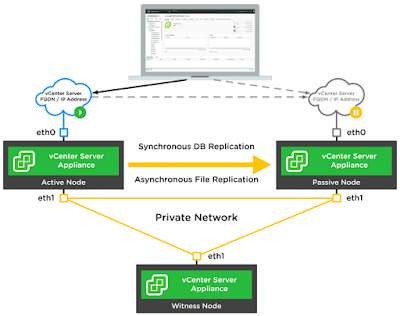 In this case the software migrates the vCenter Server instance and the embedded vCenter Single Sign-On instance at the same time. 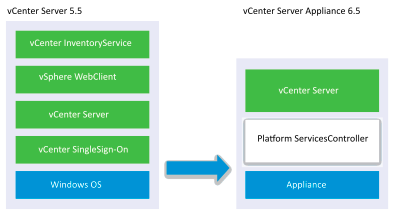 You can migrate a vCenter Server instance with an embedded Platform Services Controller(version 6.0) to a vCenter Server Appliance 6.5 instance with an embedded Platform Services Controller appliance. In this case the software migrates the vCenter Server instance and the embedded Platform Services Controller instance at the same time. 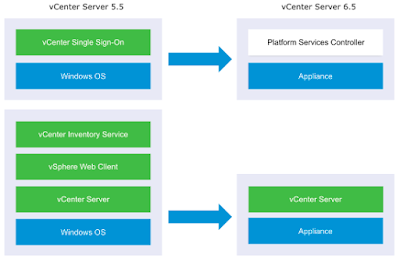 You can migrate a vCenter Server instance with an external vCenter Single Sign-On (version 5.5) to a vCenter Server Appliance 6.5 instance with an external Platform Services Controller appliance. 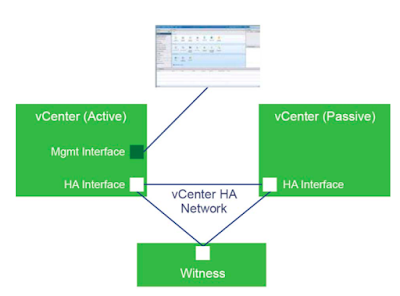 In this case you must first migrate the external vCenter Single Sign-On instance and then the vCenter Server instance. 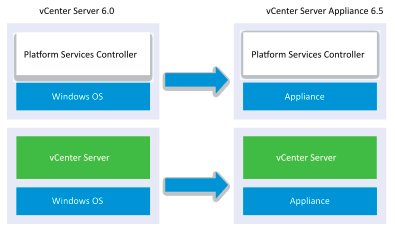 You can migrate a vCenter Server instance with an external Platform Services Controller(version 6.0) to a vCenter Server Appliance 6.5 instance with an external Platform Services Controller appliance. In this case you must first migrate the external Platform Services Controller instance and then the vCenter Server instance. 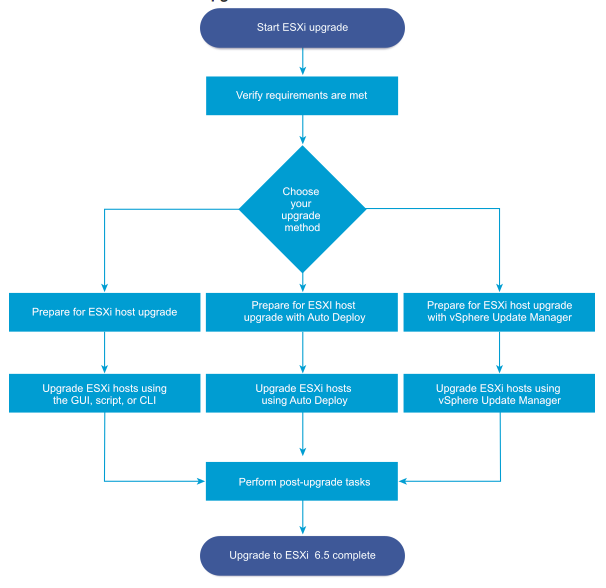 You can upgrade a ESXi 5.5.x host or 6.0.x host, asynchronously released driver or other third-party customizations, interactive upgrade from CD or DVD, scripted upgrade, or upgrade with vSphere Update Manager. 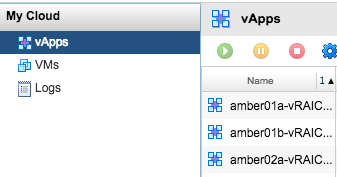 When you upgrade an ESXi 5.5.x host or 6.0.x host that has custom VIBs to version 6.5, the custom VIBs are migrated. Verify that your system meets the upgrade requirements. See ESXi Requirements. Prepare your environment before upgrading. See Before Upgrading ESXi Hosts. Determine where you want to locate and boot the ESXi installer. See Media Options for Booting the ESXi Installer. If you are PXE-booting the installer, verify that your network PXE infrastructure is properly set up. See PXE Booting the ESXi Installer. Upgrade ESXi. See Upgrading ESXi Hosts. After upgrading ESXi hosts, you must reconnect the hosts to the vCenter Server and reapply the licenses. See After You Upgrade ESXi Hosts. Use the interactive graphical user interface (GUI) installer from CD, DVD, or USB drive. Use the esxcli command line interface (CLI). vSphere Auto Deploy. If the ESXi 5.5.x host was deployed by using vSphere Auto Deploy, you can use vSphere Auto Deploy to reprovision the host with a 6.5 image. In vRealize automation, export and import of blueprints is an easy way to share the blueprints across multiple locations of an organisation. Use below steps to export blueprint from vRealize Automation using cloud client. Login to vRA appliance server using "vra login userpass --tenant <name>". List the current content list on vRA appliance to get required fields like Content ID & Content Type for exporting the blueprint. Run below command to export the required blueprint to specified path. Navigate to path where blueprint is exported & extract the .zip file. Once extracted, we can open .yaml files with wordpad to see the information about the blueprint. Follow below listed steps to import blueprint to vRA. Verify that imported blueprint is visible in the vRA portal. To test it further, you can request the blueprint service from catalog and verify successful delivery of the service. A full log bundle containing all vRealize Automation 7.x logs (with the exception of Guest Agent and Application Services logs) can be obtained from the vRealize Automation Appliance Management website under the Cluster tab. 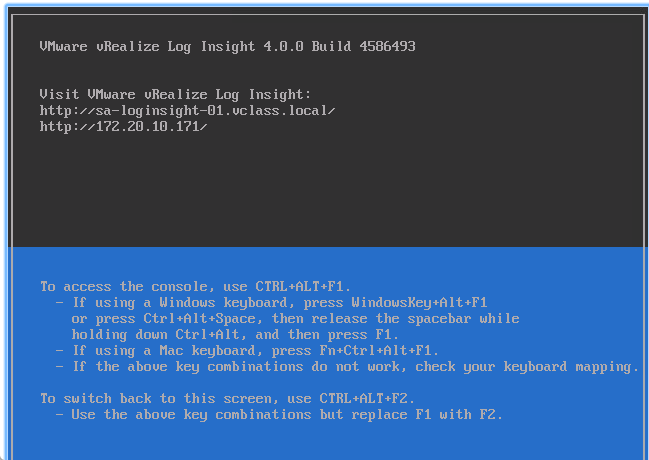 Windows Application Services Agent logs c:\opt\vmware-appdirector\agent\logs\agent_bootstrap.log Windows logs for the Software Provisioning agent. 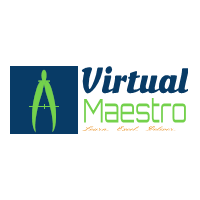 Linux Application Services Agent logs /opt/vmware-appdirector/agent/logs/agent_bootstrap.log Linux logs for the Software Provisioning agent. Linux Software Agent Logs /opt/vmware-appdirector/agent/logs/darwin-agent<date>.log Linux logs for the Software agent. Windows Software Agent Logs c:\opt\vmware-appdirector\agent\logs\darwin-agent<date>.log Windows logs for Software agent.A full log bundle containing all vRealize Automation 7.x logs (with the exception of Guest Agent and Application Services logs) can be obtained from the vRealize Automation Appliance Management website under the Cluster tab.